Our gardens give us a wonderful opportunity to care for the needs of wildlife - creating habitats that we can learn from and enjoy; helping us to connect with nature and with ourselves. Learn how to create a haven for wildlife. If you want to do your bit for wildlife or help your kids connect with nature, or if you just want to enjoy the sights and sounds of lots of creatures in your garden this is the course for you. It's easy to create bug hotels like this one. Mini-meadows attract lots of different insects. Why garden with wildlife in mind? Wildlife habitats and how to re-create them in your garden. 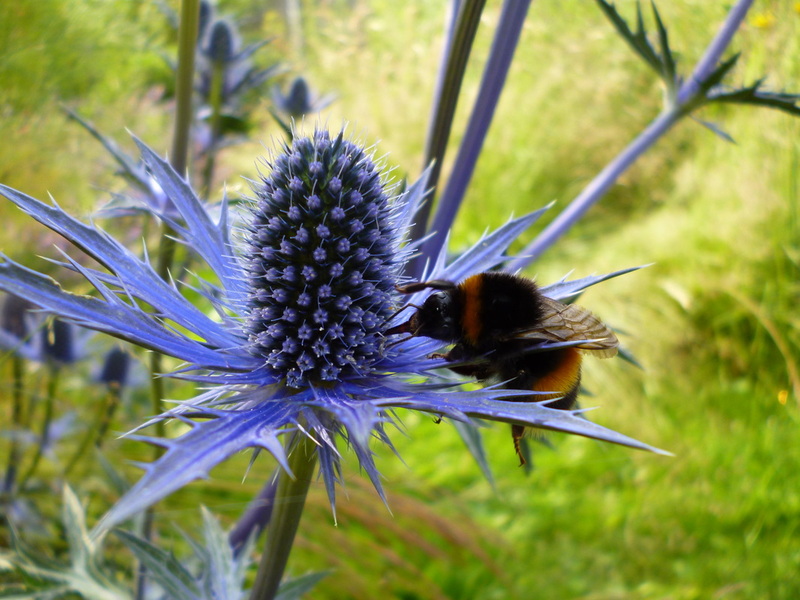 Plants that feed wildlife - including bees, butterflies and small mammals. Assessing your garden and creating an outline plan.